If you don’t get the title…let me enlighten you. Alright, now that we have moved past that, let’s talk about the new Charmed reboot. Uhm….I’ve watched the original Charmed show in it’s entirety more times than 99% of fans of Charmed. Why? Why would I have watched it that much? Well, for the last three years Charmed has been the show that my lovely wife Kaylie and I watch when it’s bed time. We generally end up watching an episode or three every night. I am very well versed in everything that is Charmed. There, that’s my Charmed cred. Sad that I have to tell you all that just so you would take me seriously on this, but there you go. Well, NONE of that is what we got. They had it in front of them to nail it with a continuation, but NOPE. Fine, ok. Maybe it will be good. I mean, the original Charmed show isn’t really “good” but it’s not “bad” either. I dunno, it’s a certain level of cheesy and character driven arcs that makes it hard to not to enjoy the show (when you’re forced to watch it every night for years by your wife.) and notice all it’s subtle little things. Before I get into the reboot, I should quickly touch on the statement I made above about it not being a “good” show. While i enjoy the show (after 100’s or re-watches) and I get what the show is about. the show as a whole with 8 seasons continue to struggle to figure out what it wants to be. The special effects are horrible, the storylines fluctuate in quality, and honestly with things like Buffy out at the same time it’s hard to like it. But I do, so there. NOW let’s talk about this reboot. My 6 word initial reaction to the first episode? Now I know, that’s a little harsh. It’s not without merit. 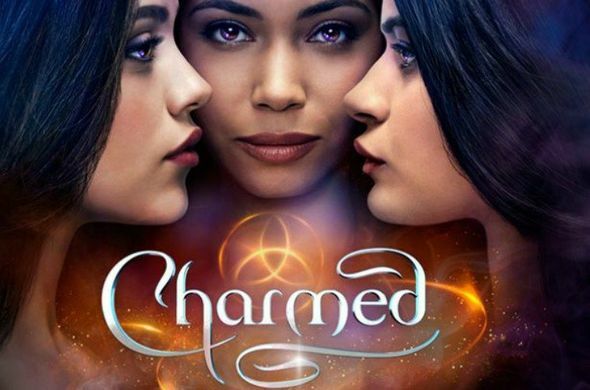 However, I don’t know if this show understands what made Charmed so so-so (great upon millions of watchings. I clarify because I detested this show until I watched it billions of times with my wife, now I can’t help but love it). First the sisters all seem REALLY young. Like, I know they are in college or have jobs, and maybe I’m just old now, but I feel like I’m watching high school kids act like they are adults, it’s weird. The next section I’m going to write I legitimately feel bad writing, but I have to say it. I may get some flack for this from some people, but I have to say t.
This reboot tries WAY TO hard to be WOKE. It cringingly spends time talking about consent not once, but multiple times. There’s a scene where a boy asks to kiss a girl. He turns to a demon. Look, I completely agree with this. Consent can be taken back at anytime. If you say “yeah let’s do it” then you go “well, uhm, never mind I don’t want to do it” then you do’t do it. But this is a pretty bad way to throw it out there. The show is filled with stuff like this. Like…filled. I am ALL for girl power. The original show was FULL of it, but it did it right. It wasn’t IN YOUR FACE, it was just a PART of the show. The women were powerful and smart, they didn’t need to constantly tell us. You just knew watching it, by picking up on how they act and present themselves. The reboot has non of this. It’s just…not good. The “whitelighter” seems WAY too much like a Watcher from Buffy. They are not leading anything. In the original you didn’t learn about Leo right away, they built to it. It was great. The first episodes essentially wants you to know everything up front, so “Hey I’m a Whitelighter I’ll teach you everything!” I don’t like it. It’s not terrible. It’s also not good. I will keep watching it, because I want to know how they do it. I know I shouldn’t watch it if I don’t want them to make more, but I want it to be good. I want to enjoy it. I just really wish they would have just continued the old storyline and picked it up 20 years later. So there, that’s it. Some rambling on this show that I used to hate but now I love, but not the reboot. ← Karl Kesel and Impossible Jones!